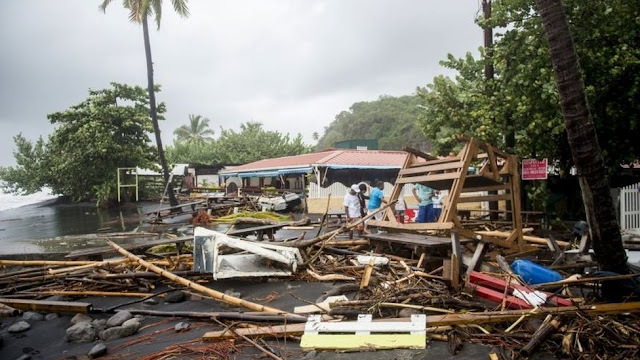 After having endured the path of hurricane Maria, the Commonwealth of Dominica is still isolated with no means of communications and and transportation connections to the neghbouring islands. A french helicopter is on its way to the devasted eastern caribbean country to provide assistance and facilitate the evaluation of the situation and the needs. As the recovery work has started, the Hon. Prime Minister Roosevelt Skerrit officialy declared a state of emergency and a curfew.